The latest change management resources to support your change initiatives from start to finish. 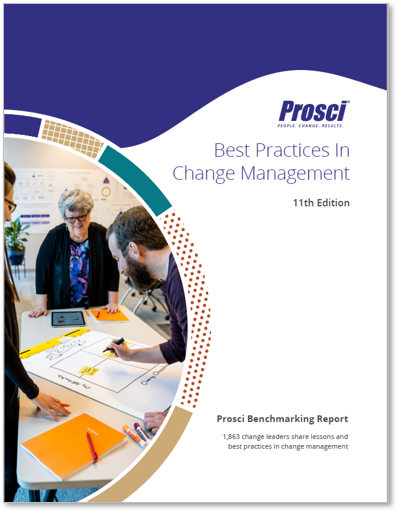 We’ve collected two decades worth of best-practice research and methodologies to bring you a robust suite of change management support tools. These resources are a must-have whenever you need to implement successful individual or organizational change. With lessons gathered from thousands of experienced change practitioners worldwide, these tools are your secret weapon for solving critical challenges and positioning your organization for success. Access thousands of lessons learned by other change leaders. With 20+ years of best-practice research at your fingertips, you can elevate your approach to managing change, overcome adoption barriers, and position change projects for success. Because they’re based in the cloud, our tools let you conduct assessments, access case-by-case best practices, measure the progress of change initiatives, and more—from any location. Get step-by-step instructions for any change management challenge. The guidance will help you lead employees through change, apply change management to a project, manage a complex change portfolio, and embed change capability into your organization. Deepen your knowledge of change management or introduce the concept to a supervisor or colleague. We have books for every organizational level, from frontline employees to the executive team, each designed to foster more effective and lasting change. Transform the way you make change happen at work, at home, and in your community using the individual change model trusted by thousands of organizations worldwide.